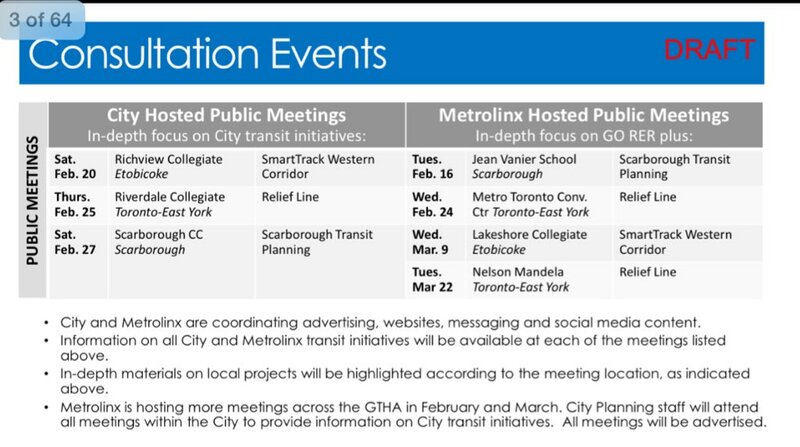 Additional meetings and information about Metrolinx plans (GO Regional Express Rail) will be organized by that agency. Even more information will be available in March 2016 when the City releases a compendium report on all transit initiatives currently under study. These will include items listed above as well as the “Waterfront Reset” study, TTC Fare Integration proposals and a review of how (or if) Tax Increment Financing can contribute to the many transit projects under review. The intent is that this report will form the basis for public consultation and debate leading to recommendations at Council in June 2016. 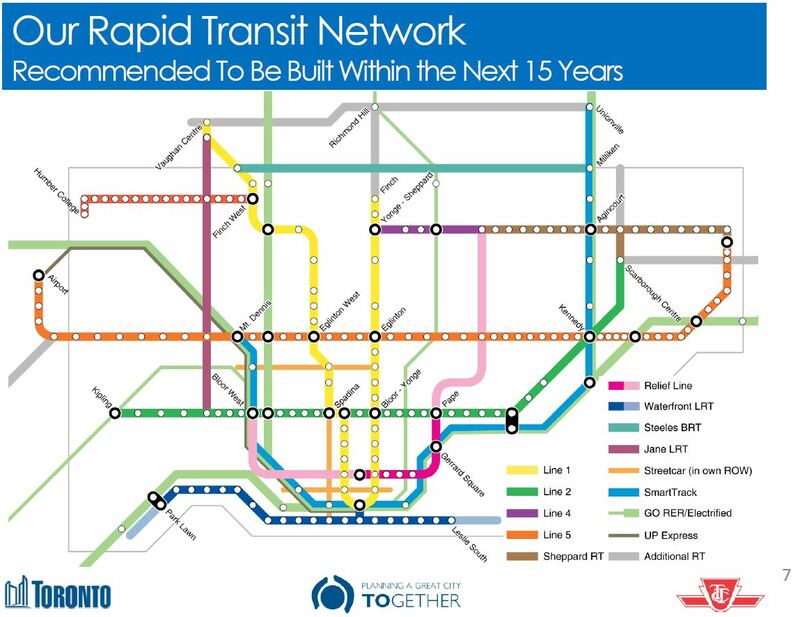 This is a very aggressive schedule, and there is no indication how consensus will actually be achieved in so short a time, especially with the usually-secretive Metrolinx as an essential player. At least the discussion will be at a network level, not ward-by-ward with a “relief” line for every member of Council, and there will be some filtering of various schemes based on engineering and operational realities. What is sadly missing from all of this is a discussion of day-to-day transit operations and the backlog in the state-of-good-repair budget. We can blithely discuss billions worth of subway building to Scarborough and a Relief line, but Council won’t fund the basics of running a transit system. My guest column for the Toronto Sun on the status of SmartTrack in the context of recent transit announcements is now online. A much more detailed review of the Scarborough transit proposals appears on the Torontoist website.